Last month, the United States Court of Appeals for the Second Circuit in the case of Francis v. Kings Park Manor, Inc. reversed the dismissal of a race discrimination complaint against a landlord and its managing agent for tenant-on-tenant discrimination. The Court held that the a landlord may be held liable for discrimination under the Fair Housing Act, the Civil Rights Act (42 USC §§ 1981 and 1982), and the NYS Human Rights Law when the landlord fails to intervene in tenant-on-tenant racial harassment about which it knew or reasonably should have known and had the power to address the discrimination. Although the Court left the question of whether the defendants in Francis had the power to act to the trial court to decide, in considering whether the landlord had the power to address the discrimination, the Court, in part, observed “that housing providers have a range of mechanisms at their disposal to correct discriminatory tenant-on-tenant harassment, such as issuing and enforcing notices to quit, issuing threats of eviction, and, if necessary, enforcing evictions, all of which are powerful tools that may be available to a housing provider to control or remedy a tenant’s illegal discriminatory conduct.” It also observed that under NY law, a landlord appears to have a duty to prevent tenant-on-tenant attacks and “‘if the landlord had ability or a reasonable opportunity to control the [aggressor]’ and ‘the harm complained of was foreseeable.’” The Court also considered the plaintiffs’ lease, which authorized the defendants to bar a tenant’s access to common areas and evict a tenant who engages in criminal activity, disturbs neighbors or represents an actual and imminent threat to other tenants. The plaintiff in Francis reported the conduct to the police and informed management of the discriminatory actions of his neighbor (racial slurs, harassment and threatening behavior) on multiple occasions and the neighbor was eventually arrested and pled guilty to harassment in violation of New York Penal Law. Yet, the defendants did nothing to stop the behavior. The anti-housing discrimination laws relied upon in the Francis case apply to cooperative housing corporations and co-op proprietary leases almost universally contain language which requires tenant/shareholders to conduct themselves in a manner that complies with applicable law and prohibits tenant/shareholders from engaging in objectionable conduct. Like the landlord in this case, a co-op board also has remedies available to it under the proprietary lease to deter this type of conduct and, if necessary, terminate the proprietary lease and evict the offending tenant. That said, when faced with complaints of tenant-on-tenant harassment, boards should carefully consider the evidence presented before taking action, and consult with counsel before doing so, as making an unfounded accusation of racial harassment against someone can have its own ramifications. In the Francis case, the Court held that allegations that the defendants not only failed to investigate or resolve the plaintiff’s complaints, but also allowed the offending tenant to live in the complex without any repercussions were enough to state a claim against them. The defendants were presented with clear and convincing evidence of unlawful discriminatory conduct by the offending tenant and failed to take any action. Although the Court in Francis did not specifically address the potential liability of a co-op’s board members, in 2012 the First Appellate Department in New York held in Fletcher v. Dakota, Inc., that members of a co-op board also may be held personally liable for discrimination if they participated in the discrimination, or otherwise directed, controlled, approved or ratified the conduct that gave rise to the discrimination. 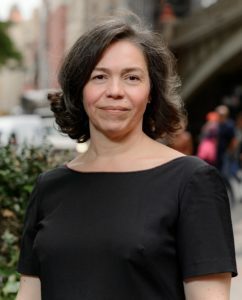 Manu Leila Davidson, Esq. is Counsel at Braverman Greenspun, a law firm dedicated to representing Boards of Directors and Managers of Condominiums and Co-ops in the metropolitan New York City area. Over the firm’s 50-year history, we have served as general counsel to hundreds of properties and developed broad expertise in litigation, transactions, leasing, financing, and the governance issues facing cooperatives and condominiums. One of the first firms in New York to specialize in this practice area, Braverman Greenspun provides some of the most sought-after counsel in the industry.